DIRECTOR + FOUNDER // Quinn Dukes is a multimedia performance artist, activist and curator based in Brooklyn, NY. Her work addresses social injustice and ritual. Dukes holds an MFA in Art Practice from the School of Visual Arts and a BFA in Fine Art from Watkins College of Art & Design. In 2014, following a heated discussion about the death of performance art, Dukes founded Performance Is Alive. 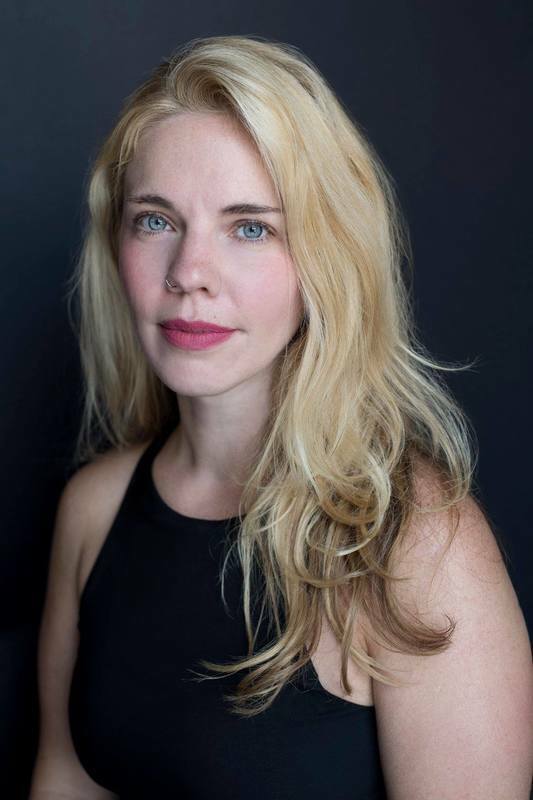 She is a tireless advocate for performance art and higher education via appointments at Grace Exhibition Space and the School of Visual Arts (SVA). PIA CORRESPONDENT // Alexandra Hammond is an artist, designer and writer based in Brooklyn. She holds an MFA from the SVA Art Practice department and a BS from NYU's Studio Art department. Hammond's work involves painting, installation, performance and retail interventions. She is an ambivalent Utopian. Her current work investigates the paradoxical function of the idyll, a perfected image of wholeness that can only be viewed from the outside, yet may drive the desire to continually become in the embodied real. PIA CORRESPONDENT // Polina Riabova is a Brooklyn-based poet, writer and performance artist originally from Kupavna, Moskovskaya Oblast, Russia. She curates The Blue Rose series and is Editor-In-Chief of PLASTER COCKTAIL zine. PIA CORRESPONDENT // Luke Mannarino is an artist and facilitator currently based in Brooklyn, NY. His art practice explores issues of gender, intimacy, mental health, and human connection through live performance as well as video and time based installation. He has shown work at Panoply Performance Laboratory (Brooklyn), Grace Exhibition Space (Brooklyn), Möbius Inc. (Boston), Defibrillator (Chicago), Charlotte St. Foundation (Kansas City), and Farm Cultural Park (Sicily). Luke is a co-founder of a Boston based art zine formerly known as “Accordion” which ran as a free publication from 2014-2016. PIA CONTRIBUTOR + Production Manager // Alex Sullivan is an interdisciplinary artist, New York City native, computer whisperer, occasional photographer, and solver of small puzzles. She received an MFA in Art Practice from the School of Visual Arts, a BFA in Studio Art and a BA in Women’s Studies from Penn State. Through boundary disrupting interactions using touch, varying levels of sensory deprivation or distortion, conversation, performance, audio, objects, and video, her work explores the world of embodied knowledge where our beliefs and behaviors resist easy articulation. PIA CONTRIBUTOR // Ian Deleón (b. 1987, Miami) holds an AA in English Literature from the Miami Dade College Honors Program and a BFA from the Studio for Interrelated Media (SIM) at the Massachusetts College of Art & Design, Boston. He currently lives and works in Gainesville, FL with his wife Tif Robinette. Together they are the curators at PULSAR Performance. Based in Brooklyn, NYC, Performance Is Alive is an online platform featuring the work and words of current performance art practitioners. Through interviews, reviews, artists features, sponsorship and curatorial projects, we aim to support the performance community while offering an access point to the performance curious. We launched in late 2014 with a strong emphasis on artist interviews and profiles. In 2015, we sponsored The Sphinx Returns, a 3-month performance series, curated by Whitney V. Hunter at Grace Exhibition Space (Brooklyn) and welcomed Miami Art Week correspondent, Alexandra Hammond, as a part of our team. In 2016, we expanded our efforts to curatorial projects, presenting performance art programming at a Foundation Fighting Blindness Benefit and 4 days of non-stop performance programming at Satellite Art Show during Miami Art Week 2016. We have since welcomed correspondents, Polina Riabova, Luke Mannarino and Alex Sullivan. In 2019 we extended our curatorial efforts to include programming in Austin, Miami and NYC with Satellite Art Show. Through all of this, we continue supporting and promoting the work of current performance art practitioners. Performance is Alive!